We understand how important company documents are to your business, so we strongly recommend you back up all your company documents (Articles, Annual reports, company minutes). Nowadays it is best to backup using cloud because you have access to your documents from everywhere. 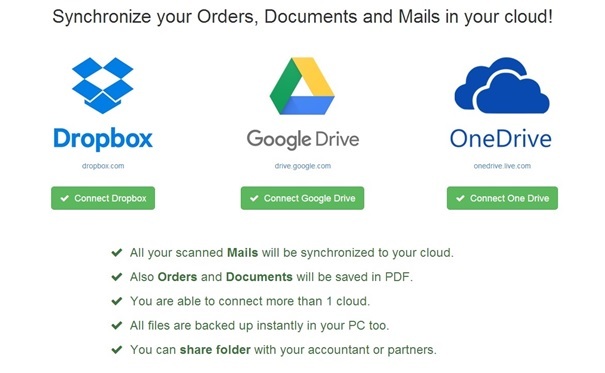 We are happy that now we are able to offer you automatic cloud backup of all your documents! Just log in to your account, click on “Connect your cloud”, choose cloud service which you want to use (Dropbox, Google drive or OneDrive) and click on “Connect”. Now all your documents (company minutes, scanned mails, documents) will be automatically synchronized with your cloud service so you will be able to access it from everywhere!